Edema, which is the accumulation of fluid in the body, most commonly occurs in the lower extremities of the legs and feet. This condition, however, can also occur in the hands and can be caused by cardiac insufficiency, hormonal fluctuations or sodium intake. 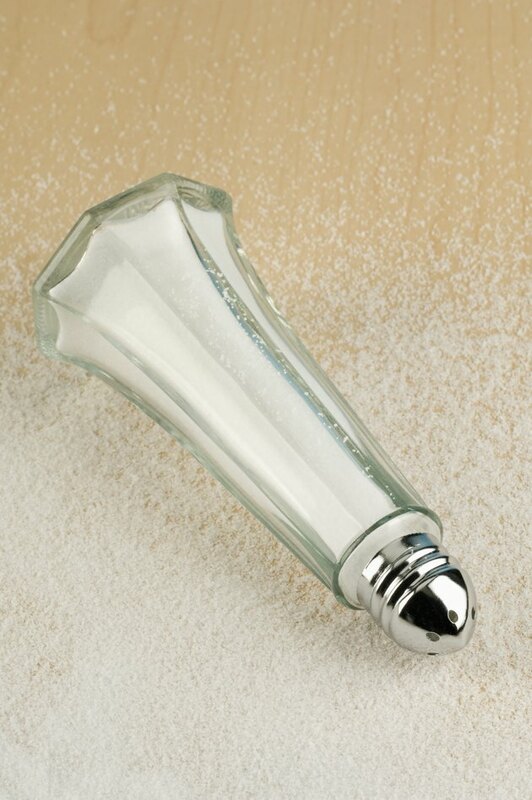 Sodium is a mineral that, although necessary for human life, is rarely necessary in supplemental form. An excessive consumption of foods high in sodium has significant implications for health. Edema occurs when fluid accumulates in the spaces between cells in your body. This can result from medication, heart disease or simply due to consumption of excess amounts of sodium. Swelling of the hands is also a common side effect of physical activity in some people. The exact mechanism is unknown, but it is believed that the body intentionally reduces blood flow to the extremities during vigorous activity. By overcompensating for the lack of oxygen, your body then may dilate the blood vessels, allowing fluid to reach the hands, causing swelling. When you consume a high sodium diet, considered to be more than 2,300mg daily, your body reacts by retaining water. This retention is an effort to dilute the excess sodium that can cause cellular damage. Most people retain fluid in the lower extremities, but some individuals may also experience swollen hands. Edema itself is a symptom rather than an illness and can indicate kidney problems as well as heart disease that causes inefficient pumping of the blood. The treatment for edema depends on the underlying cause. If you consume a diet that tends to contain foods that are high in sodium, your doctor may recommend eating lower sodium foods instead. In addition, medications may be prescribed to help your body excrete fluid that has accumulated in your hands and other extremities. If you experience swelling during exercise, keeping your arms and hands up higher while you exercise and elevating your arms above your heart after exercise may help decrease swelling. Any swelling in the extremities, including your hands, should be reported to your physician, because it can indicate serious underlying conditions. A diet that emphasizes unprocessed or lightly processed foods can help you decrease the amount of sodium in your diet. It is still important, however, to check nutritional labels for hidden sources of sodium, which can be found in canned and frozen vegetables and some vegetable juices. In rare instances, swelling of the hands can result from too little sodium in your blood. This condition is usually caused when you consume too much fluid too quickly, diluting sodium to a level that is dangerously low.